Skyler came and spent the day at work with me last week at take you kid to work day. It was a blast. We had him set up with a sweet phone to keep in contact through out the day. He said he got a little board at our all hands on video conference though. I like the idea of having an assistant around. 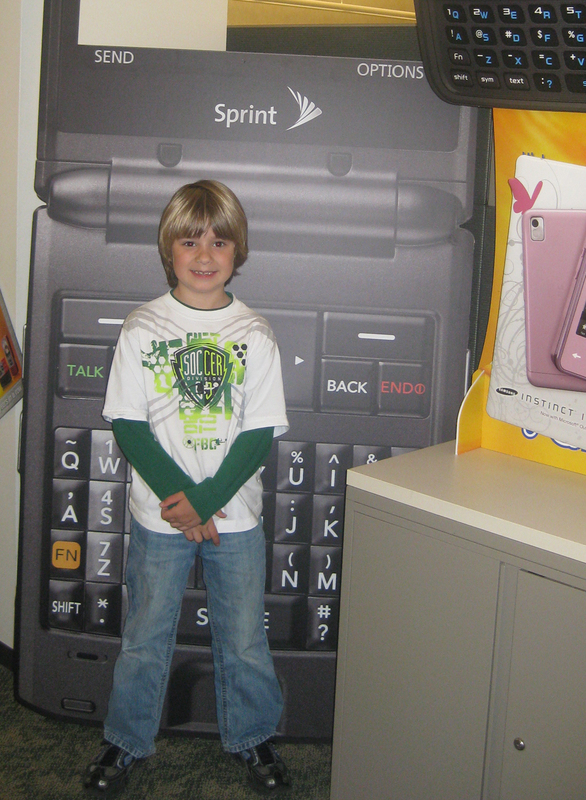 This entry was posted in Current Events and tagged Skyler Cribb, Sprint.